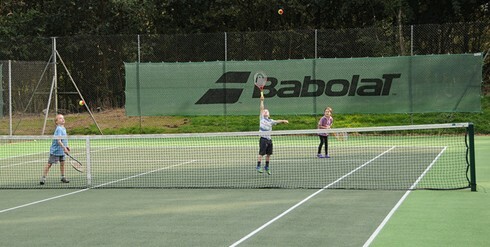 Bagshot Tennis Club can offer sponsors to opportunity to be involved with a vibrant and growing organisation associated with health and fitness and the promotion of a sport for children from a range of backgrounds. We work very closely with schools, including Special schools for children with learning difficulties. If you would like your company to be associated with our club then please contact our Corporate Development Officer, who will be able to tailor a sponsorship package to your needs.